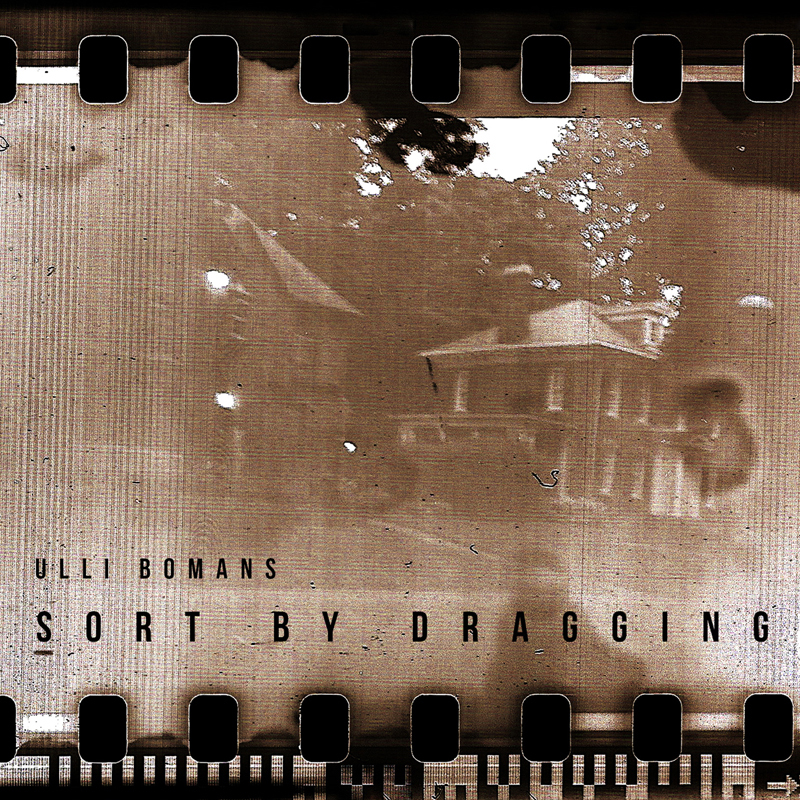 Bremen artist ULLI BOMANS is releasing his second album under his real name, ‘SORT BY DRAGGING,’ on the Berlin-based SHITKATAPULT label. His debut album ‘Riven’ followed a long series of music productions under his alias Schieres and numerous maxis, albums, remixes and tours together with Marco Haas aka T.Raumschmiere and their band of electronic thunder experiments, Shrubbn!!. This time, the listener loses himself entirely in the gloomy, captivating worlds of sound or, better yet, cities of sound and their digital abysses. It is quite spooky, at times sinister and implies (songs of) the homeland, completely in line with Fritz Lang. Metropolis, only this time in a modern, more modest form, an understanding of traces, excerpts, transcripts from microcosms, which then seem absolutely harmonious and tempered to a strange well-being. All at once, very clear parallels emerge – to the art, images, sculptures, the understanding of his sculptural and visual art, which takes him from Bremen to Detroit and back. BOMANS clears the way with the opening track ‘Detroit Tape Noise’ as the gloomy intro of noises, clicks and wall of sound is soon followed by a distant beat that functions more as a moving wall than as a drum pattern. Sounds are created from noise, rhythm from the recovery of movement, as manipulation, and somehow become condensed into a track, a song that is not without melody, resonating like an alarm in an ocean of noise. Sound as travesty and music as work that does not feed on software and function. In ‘Cheap Seats’ we even encounter a real drumbeat, which somehow drags and pushes a Vermona home organ sound into the echo loop and somehow suffers wonderfully. ‘One Piece Missing’ then brings a clear piano voice into this world of sound, embedding the tradition as if into a painting. It sways very beautifully, that beautiful noise. This wonderful record dangles and hangs through a time of the signs, a sound forest, a city, a story, an image. ‘Screensaver’ then ends the nightmare of sound with ringing and roaring under a piano voice that is strangely amazing on top of the sinus bass. It is an immense record.